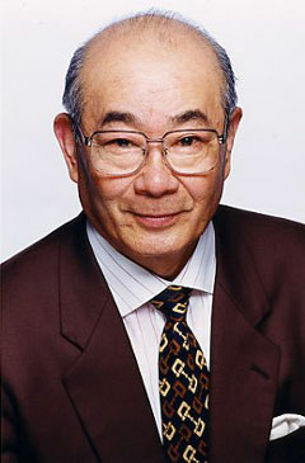 Difference between revisions of "Chikao Otsuka"
'''Chikao Ōtsuka''' (大塚 周夫 ''Ōtsuka Chikao'', July 5, 1929 - January 15, 2015) was a veteran seiyū. He was the father of Akio Ōtsuka, another seiyū. Ōtsuka, as of 2006, was represented by Aoni Production. '''Chikao Ōtsuka''' (大塚 周夫 ''Ōtsuka Chikao'', July 5, 1929 - January 15, 2015) was a veteran seiyū, actor and narrator born in Setagaya, Tokyo. As of 2006, he was represented by Aoni Production, previously being affiliated with Gekidan Tōgei, Gekidan Haiyū Kogekijō and Geinouza, among others. He won the Anime Achievement Award as a voice actor at Tokyo Anime Award 2014. He was the father of Akio Ōtsuka, another seiyū. Otsuka has since been succeeded in the role of [[Dr. Eggman]] by Kotaro Nakamura.